The family of young Sophia Gibson has released an emotional video in an attempt to raise awareness of the horrendous suffering that their young girl continues to endure. Sophia’s mother, Danielle, told Unionist Voice “It was a difficult decision to release some of the very personal and private footage of our daughter. But we felt it important to raise awareness of her condition and suffering. ” As a mother I am heart scared of someone on the internet making a nasty remark about our little girl. That would break my heart, as I am sure it would any parent. 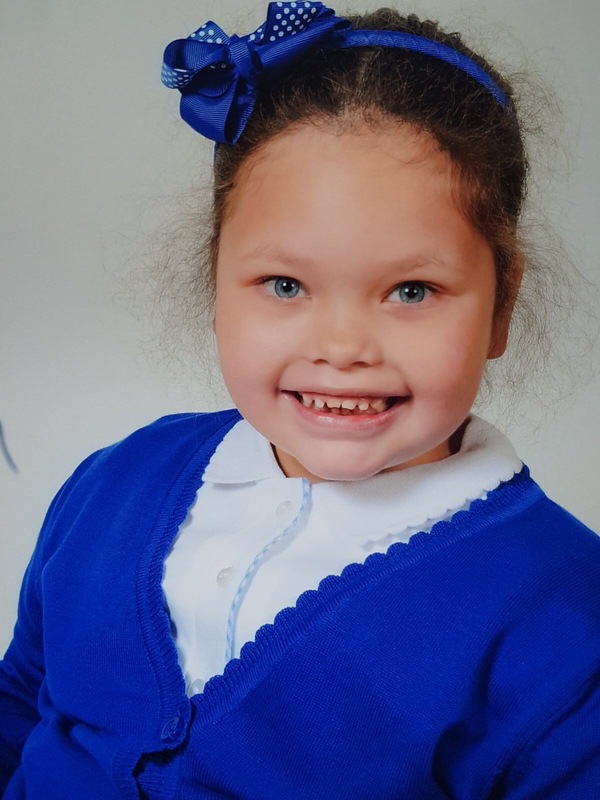 Sophia Gibson is 6 years old and from the Newtownards area. Sophia suffers from a rare form of epilepsy called Dravet syndrome. This affects Sophia’s quality of life immensely causing her multiple types of seizures and has greatly affected her development. None of Sophia’s medications are currently working for her, as Dravet syndrome is drug resistant and therefore each seizure has the potential to kill her. The community of Newtownards and further afield has rallied around in a unique fundraising drive in order to raise much needed money to allow Sophia to travel abroad to get the treatment she so desperately needs. This worthwhile cause has attracted widespread support and Sophia’s loving parents, Darren and Danielle, have campaigned tirelessly for the legalisation of the medication that they believe will help Sophia. Young Sophia is a remarkably bright and happy child, despite the horrendous suffering she has endured due to her multiple seizures and rare condition. It is imperative that this young girl gets the treatment she needs in order that she can live a full and happy life and to experience all the joys of childhood. We will be continuing to carry updates on the campaign to raise awareness of Sophia’s condition and to try and help the family raise funds for the treatment that she so desperately needs. 55 Responses to "WATCH: Help For Sophia’s Seizures- Emotional Video"
What i do not understood is actually how you’re not actually much more well-liked than you may be right now. You are very intelligent. You realize therefore significantly relating to this subject, made me personally consider it from a lot of varied angles. Its like men and women aren’t fascinated unless it is one thing to do with Lady gaga! Your own stuffs nice. Always maintain it up! Hey would you mind letting me know which webhost you’re working with? I’ve loaded your blog in 3 different browsers and I must say this blog loads a lot quicker then most. Can you recommend a good web hosting provider at a honest price? Kudos, I appreciate it! My brother recommended I may like this web site. He was once entirely right. This put up truly made my day. You can not consider just how much time I had spent for this information! Thank you! Thank you for every one of your effort on this web page. Debby delights in working on research and it’s really simple to grasp why. My partner and i hear all about the lively way you render reliable thoughts by means of your web blog and boost contribution from others about this subject then our own daughter has been learning a lot. Take advantage of the remaining portion of the new year. You have been doing a superb job. Pretty element of content. I simply stumbled upon your web site and in accession capital to say that I acquire actually enjoyed account your weblog posts. Any way I’ll be subscribing for your feeds and even I fulfillment you get entry to constantly fast. Hello! I’ve been following your site for a long time now and finally got the courage to go ahead and give you a shout out from Austin Texas! Just wanted to tell you keep up the fantastic work! Very good blog! Do you have any hints for aspiring writers? I’m hoping to start my own website soon but I’m a little lost on everything. Would you propose starting with a free platform like WordPress or go for a paid option? There are so many options out there that I’m totally confused .. Any tips? Many thanks! My spouse and I stumbled over here different web page and thought I should check things out. I like what I see so now i’m following you. Look forward to exploring your web page again. Hi there would you mind letting me know which webhost you’re utilizing? I’ve loaded your blog in 3 completely different internet browsers and I must say this blog loads a lot quicker then most. Can you suggest a good internet hosting provider at a honest price? Thank you, I appreciate it! Hello, Neat post. There is an issue with your web site in internet explorer, may check this… IE still is the market chief and a large element of people will miss your great writing due to this problem. Howdy! Someone in my Facebook group shared this site with us so I came to look it over. I’m definitely enjoying the information. I’m book-marking and will be tweeting this to my followers! Great blog and amazing design. Thank you for another great post. Where else could anybody get that type of information in such a perfect way of writing? I’ve a presentation next week, and I’m on the look for such info. Thanks for another informative blog. Where else may just I get that type of information written in such an ideal way? I have a challenge that I am just now operating on, and I have been at the glance out for such information. Hey There. I found your blog the usage of msn. This is a very neatly written article. I will be sure to bookmark it and come back to read extra of your helpful info. Thank you for the post. I’ll definitely return. I precisely had to appreciate you once more. I’m not certain the things that I would have followed without the entire tactics discussed by you directly on such subject. It was before a alarming circumstance in my view, however , coming across a specialised way you processed it made me to jump over happiness. I will be grateful for this advice and as well , have high hopes you comprehend what an amazing job that you’re providing training some other people all through your blog. More than likely you have never met all of us. I must voice my gratitude for your kind-heartedness supporting men and women that really need help on that subject. Your special dedication to passing the message up and down ended up being incredibly functional and has specifically helped those just like me to achieve their objectives. Your amazing valuable guidelines means so much a person like me and a whole lot more to my peers. Many thanks; from everyone of us. Thanks for your marvelous posting! I definitely enjoyed reading it, you can be a great author.I will make sure to bookmark your blog and will eventually come back very soon. I want to encourage one to continue your great job, have a nice morning! I’m often to blogging and i actually recognize your content. The article has really peaks my interest. I am going to bookmark your site and maintain checking for brand new information. Greetings from Los angeles! I’m bored to death at work so I decided to check out your site on my iphone during lunch break. I love the knowledge you present here and can’t wait to take a look when I get home. I’m shocked at how quick your blog loaded on my cell phone .. I’m not even using WIFI, just 3G .. Anyhow, superb blog! I do like the manner in which you have presented this particular situation plus it does give us some fodder for thought. Nonetheless, through what precisely I have observed, I really hope as the feedback pack on that individuals continue to be on point and not start upon a tirade regarding the news of the day. Still, thank you for this excellent point and even though I do not really agree with the idea in totality, I value your perspective.